It’s Christmas time in the 60’s in Texas and everyone is hustling along the streets, going in and out of the gaily decorated stores doing their Christmas shopping. On the sidewalk is a man with no legs, selling Christmas wrapping paper and calling out “pretty paper”. His name is Vernon Clay and he catches Willie’s eye. Willie takes an interest in Vernon and is determined to learn Vernon’s story and to help him out any way he can. 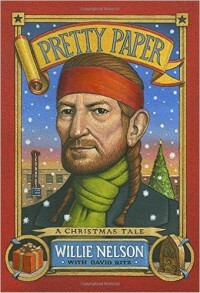 For those of you familiar with Willie Nelson’s music, you’ll be well familiar with his Christmas song, “Pretty Paper”. The song was inspired by a real-life street vendor named Frankie Brierton. Willie always wondered who the man was who inspired his song and now Willie has written this charming Christmas tale. It’s written by Willie in collaboration with David Ritz. Willie Nelson has proved through his music that he knows how to pull on the heartstrings so it’s no surprise what a warm, heartwarming story this is. It’s written in a down-to-earth, forthright manner. It’s hard to say how much of the book is true. 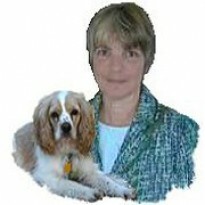 At the beginning of the book, Willie is married with three children and he was married with three children in the 60’s. I’ve read, too, that the story he includes about himself and Charlie Pride is true. However, the disability of the real street vendor, Frankie Brierton, was due to a spinal disorder, unlike the reason for Vernon’s disability. Whatever is true or not true, read this book with the expectation of being charmed. There aren’t particularly any surprises in this story but it sets up a lovely Christmas atmosphere perfect for that time of year.